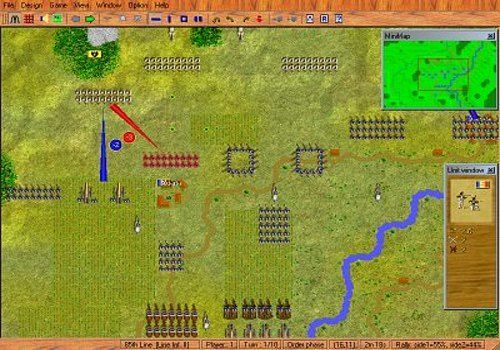 Field of Strategy is a simple and universal wargame that allows you to replay the main battles in our history with a unique system and short rules. The game is in English and French. FoS can be played in swivel chairs, by e-mail, by TCP/IP or against an AI. Each scenario provided can be played with different placements and new armies, and card/force/scenario editors will also allow you to create your own battles. Finally, two campaign modes allow you to sequence battles. The game currently contains 120 historical battles, 20 fictional battles and 35 campaigns. Animations are regularly organized by the community and we hope you will enjoy this game. Try it, it's free! Halo Wars 2 is none other than the sequel to Halo Wars, a strategy game inspired by the Microsoft Halo franchise, released in 2009. Find the playable demo of Realpolitiks. In this large-scale strategy game, you will take a nation in hand and try to transform it into a global superpower. Rise & Fall: Civilizations at War do you know him? It is an RTS that did not mark its time but was part of an experience on the part of its publisher that made it totally free. Conan Unconquered is the first RTS to take place in the universe of Conan the Barbarian. The game is presented as a city defense game, attacked by thousands of angry fighters. To protect yourself, walls, weapons and colossus magically invoked will be more than necessary. Isola's game program with powerful AI, simple, small (30 KB), fast and pretty, it respects the official rules of the game.